Photos of the Abbey of Saint Martin-du-Canigou in the Pyrenees, Orientales department, France. 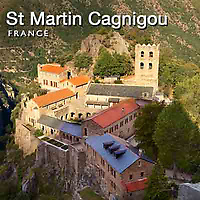 Perched high on a rocky pinnacle on Mt Canigou sits the remote Benedictine Abbey of Saint Martin-du-Canigou. It was built between 1005 and 1009 by Guifred II, Count of Cerdanya as a penance for the murder of his son. The count died at the monastery in 1051. The Abbey was built in the First Romanesque style or Lombard Romanesque. The style originated in Catalonia and Lombardy in the South of France and is characterised by thick walls and lack of external ornamentation as well as the classic Romanesque rounded arch. The upper church of the Abbey of Saint Martin-du-Canigou was built between 1010-1020 and has three naves separated by monolithic columns. In 1428 the Abbey of Saint Martin-du-Canigou was damaged by an earthquake which led to much rebuilding of the Abbey but the church survived as an important example of Lombard Romanesque. The Abbey was an important centre of Christianity until 1779 when only five old monks remained in the Abbey. After Louis XVI secularised the monastery in 1783 it was abandoned and fell into disrepair. At the end of the 19th century Catalan culture was rediscovered and in 1902 on the back of this rebirth Monsignor Jules de Carsalade du Pont, Bishop of Perpignan-Elne started a major restoration of the ruined Abbey. After the French Revolution the Abbey had been bought by a property owner in the region who had used the stone from the Abbey in buildings elsewhere. Originally the cloisters had two levels, today only one remains. In 1952 the restoration was taken over by a Benedictine monk, Father Bernard de Chambannes, who lived and worked on the Abbey rebuilding for 40 years. In 1988 the Abbey was passed to the Community of Beatitudes who have a mission of prayer and spiritual touristic hospitality, many of whom spend several days retreat in the Abbey. The long steep walk to the Abbey is still a pilgrimage for tourists and the devout alike. The Abbey of Saint Martin-du-Canigou is still a place of peace and tranquility untouched by the bustle of the modern world. 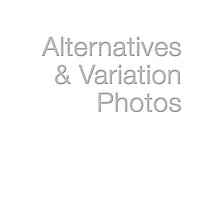 Photos of the Abbey of Saint Martin-du-Canigou can be bought as stock images or photo art prints.